The First Four is the official start to March Madness: four games played on the first Tuesday and Wednesday of the NCAA tournament. The 2019 NCAA tournament First Four is Tuesday and Wednesday, March 19-20. Here is the schedule for those games — tap or click on each one to be taken directly to the live stream. Prairie View plays Farleigh Dickinson at 6:30 p.m. Eastern followed by Temple vs. Belmont at 9 p.m. on Tuesday. Wednesday's games are NC Central vs. North Dakota State at 6:30 p.m. and then St. John's vs. Arizona State at 9 p.m. When did the First Four start? In 1999, the Mountain West Conference was added to Division I. In its second season, 2000-2001, the conference received an automatic bid for the first time, bumping the total number of automatic qualifiers in the NCAA tournament to 31, and the total number of teams to 65. From 2001 to 2010, this was addressed by an Opening Round game, where the two lowest-seeded teams would play on the Tuesday after Selection Sunday. In 2011, the NCAA tournament expanded again, to 68 teams, with 31 automatic qualifiers, and 37 at-large bids, and the First Four was created to cull the teams to 64 for the first round. Who plays in the First Four? When selecting the teams for the NCAA tournament, the Selection Committee ranks every team from No. 1 through No. 68. In its current format, the First Four consists of eight teams — the four lowest-seeded automatic qualifiers, and the four lowest-seeded at-large teams. Each subset plays against itself (i.e., at-large teams face at-large teams, and automatic qualifiers face automatic qualifiers). Who was in the inaugural First Four? When is the First Four played? The First Four is played on the Tuesday and Wednesday after Selection Sunday, with the NCAA tournament’s Round of 64 starting that Thursday. This year, the First Four will be held on March 19 and 20. Where is the First Four played? The First Four has always been hosted at the University of Dayton, in Dayton Ohio, where it will be held again in 2019. Here is more on Dayton's impressive history as a college basketball town. Who are some notable teams that have come out of the First Four? In all eight years of the First Four’s existence, at least one First Four team has survived until the Round of 32. Last year’s most successful First Four team was Syracuse, which beat Arizona State in the First Four, then 6-seed TCU and 3-seed Michigan State to make it to the Sweet 16. But no team has managed to match the success of VCU in 2011. The Rams knocked off 11-seed USC in the First Four, then downed 6-seed Georgetown, 3-seed Purdue, 10-seed Florida State, and 1-seed Kansas to reach the Final Four, where they fell to 8-seed Butler. 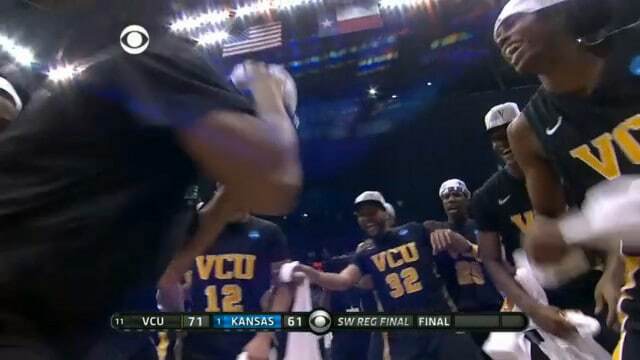 VCU is still the only team to have made the Final Four from the First Four.